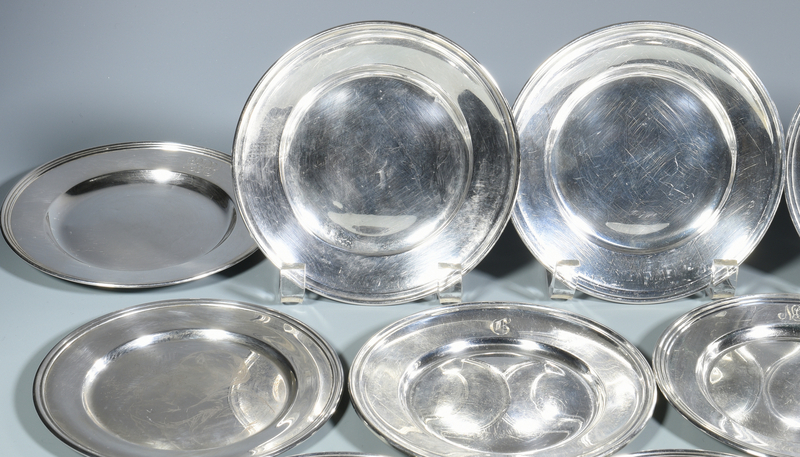 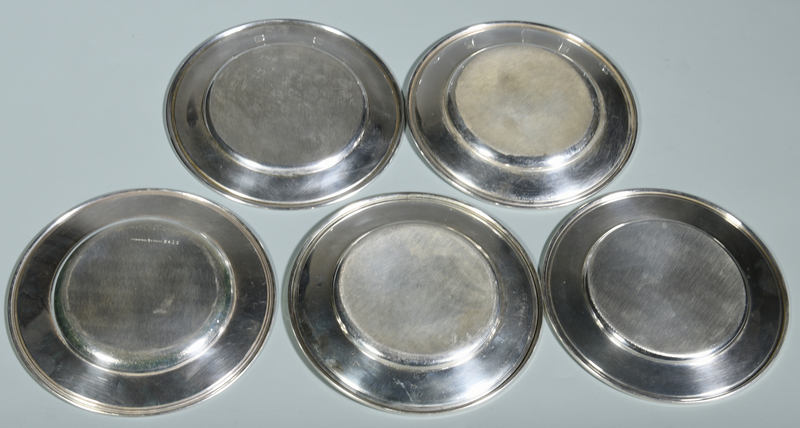 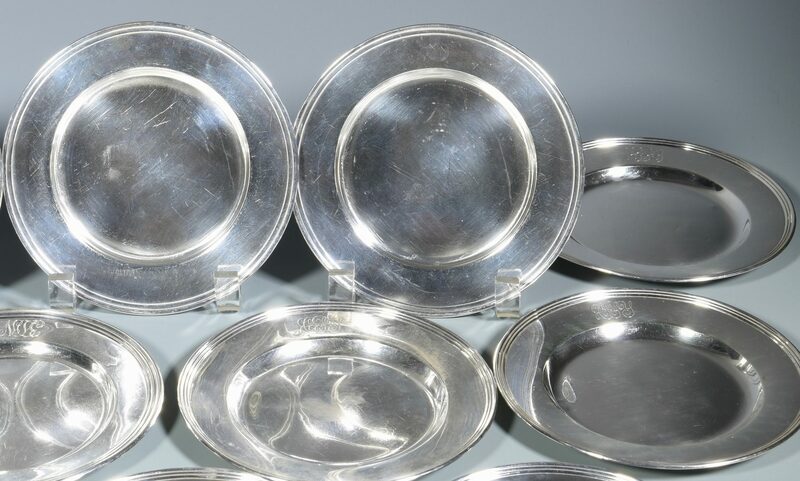 Group of 15 sterling silver bread and butter plates by various makers including 8 by International, marked H413; 2 by Gorham; 2 by Alvin, marked L49 plus 3 others, all 6" diameter. 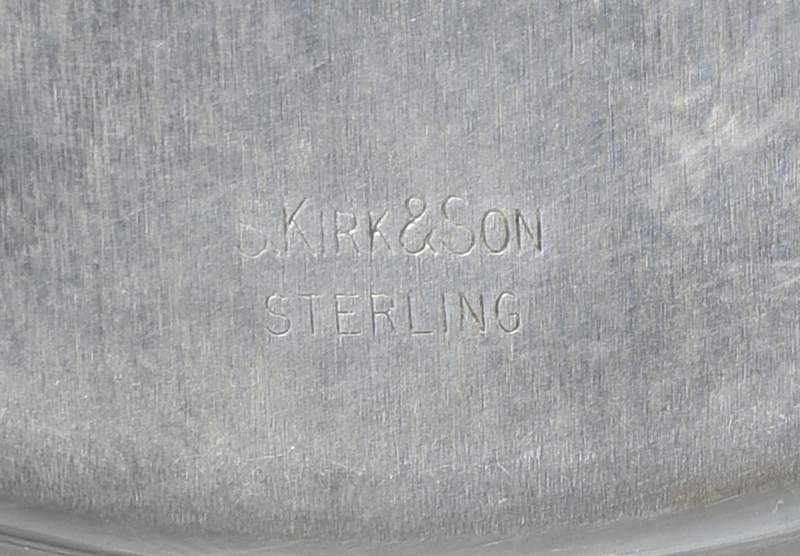 10 with monograms, 1 by Kirk and Son with engraved mother and child image. 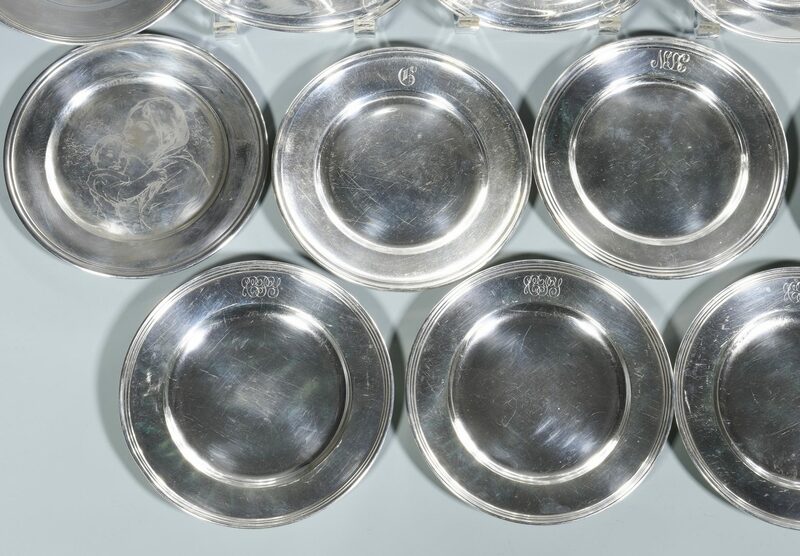 15 total, 36.825 total oz troy. 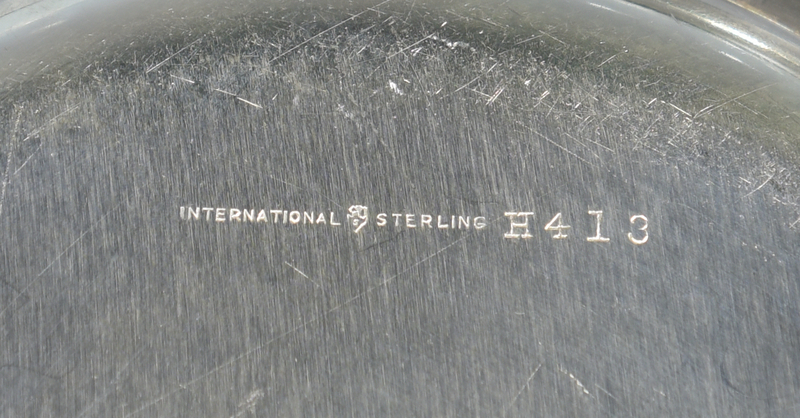 CONDITION: All with surface scratches and some with minor fleabites. 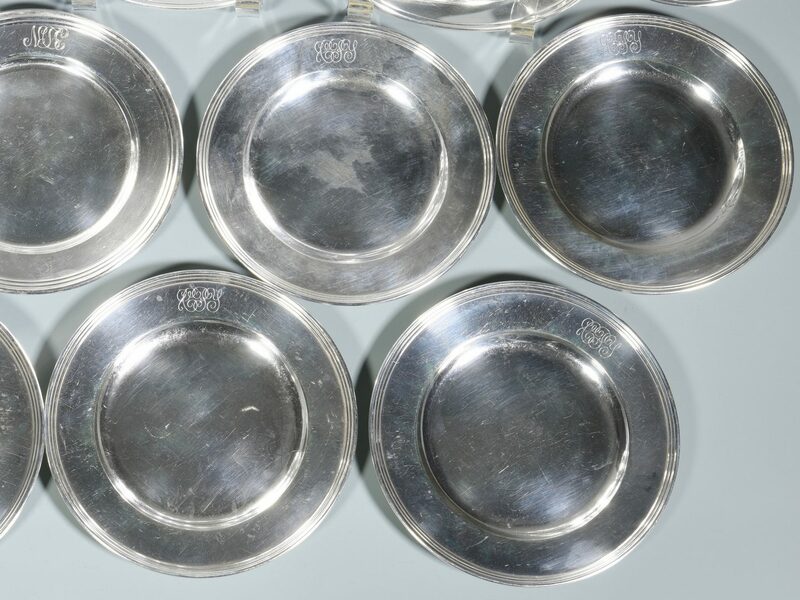 10 with monograms and 1 with mother and child image.